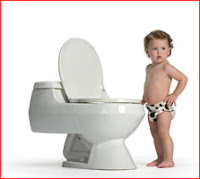 Moms of toddlers will love this - there's a revolutionary new product that makes potty training a breeze. Potty Pony Pals is innovative training underwear with animal graphics on the inside of the garment. It comes with a DVD that shows toddlers how to watch over their new potty underwear and keep the 'pal' on the inside - dry - brilliant! "The very first time we used the Potty Pony Pals DVD and garment it was clear how fun it was to learn together. My daughter loves to watch the DVD with her friends." I would recommend this to any parent." The Potty Pony Pals set is wonderfully made and super soft. I am proud to say it actually got the potty message through to my daughter and really worked. She is right in there going pee and poop on the potty , and having fun doing it! !